It’s an important question, because the system lulls some into believing that it’s a title or experience or even how much money someone has that determines why people follow a person. Yet, while those dynamics grant people a type of authority, there are countless individuals with lofty titles, decades of experience or more money than can be imagined who are despised and followed only by people who have forgotten they have a choice. So what question, when answered, determines how far and how earnestly others will follow you? It’s this: Why do you value people? The big boss who values people because they are a means to achieve a personal objective (and then the next) doesn’t have followers. He has employees who are confined by reporting structures. Knowing the difference is knowing the difference between being a leader and a boss. 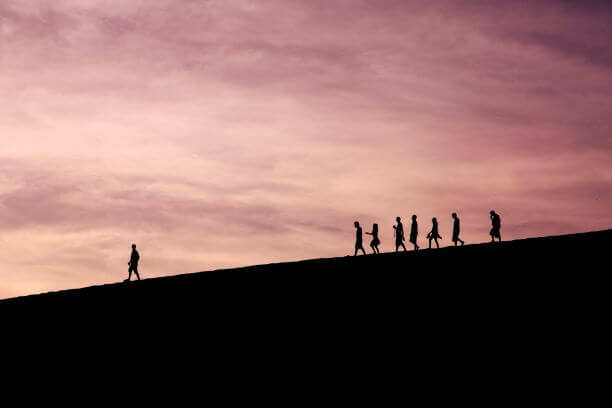 Leaders who value those they lead because they are people – with lives and stories and families and fears and motivations and interests and a desire to realize their potential – don’t need titles or even that much experience or money: Most of us will follow them anywhere.